Jameela Tidwell (left) and Molicia Hammond dissect a frog Tues. Oct. 6 in the Upward Bound program at SIUE's East St. Louis Center. Both are sophomores at East St. Louis Senior High. Thursday marked the sixth school day with no class for the more than 6,000 students in East St. Louis School District 189 as teachers continue to strike. 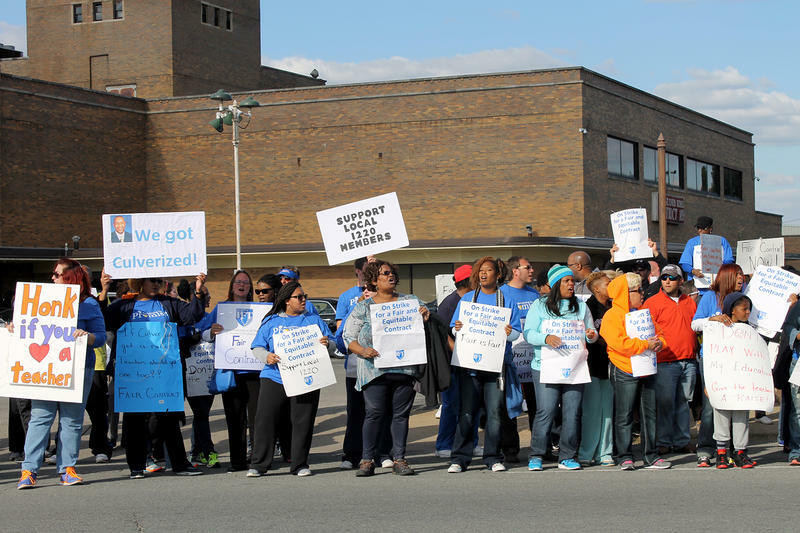 Contract negotiations between the district and the teachers' union appear to have hit a stand-still. Since the strike began, six community centers with after-school programming have extended their hours and opened their enrollment to all students in the district. The centers also provide lunch. The idea is to keep students safe and in a routine, but so far only a fraction of the district’s students are taking advantage of the centers. Dixon said right now the community centers are serving 10-15 percent of East St. Louis students during the day. He expects more students to turn up if the strike drags on. 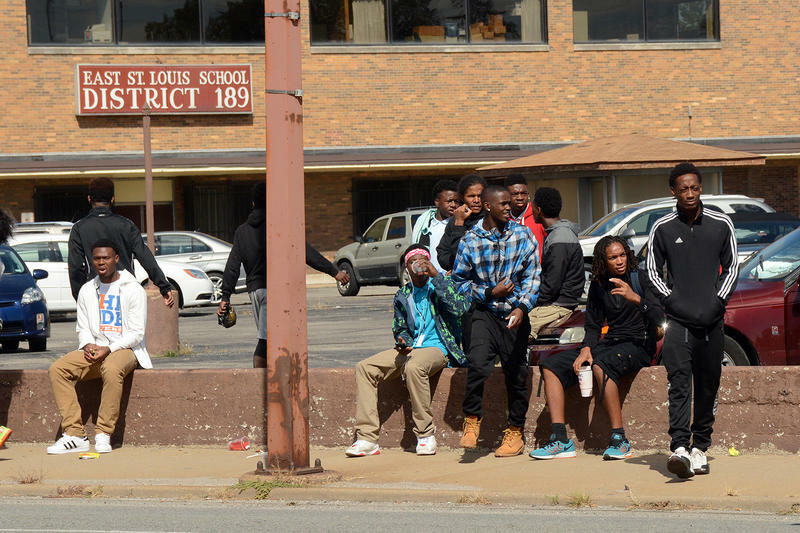 The last teacher strike in East St. Louis was in 1997. It lasted 24 days. Some centers cited transportation issues as a roadblock to attendance, but even the Griffin Center is only seeing about half its regular attendees for lunch. 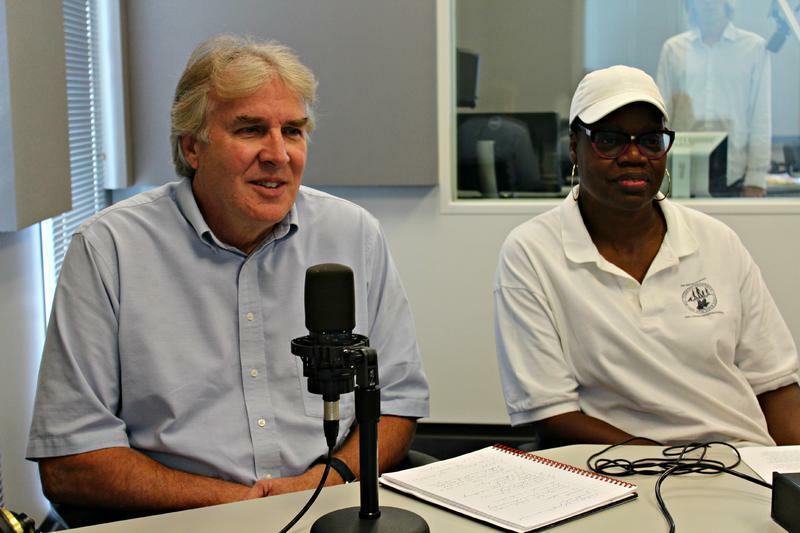 The Catholic charity operates programs on the campus of public housing projects. Several of the community centers are offering learning opportunities during their extended hours. Others, like the Jackie Joyner-Kersee Center, are leaving tutoring to their regular after-school sessions and leaving class hours open for pick-up basketball games and discussions about healthy decision making. 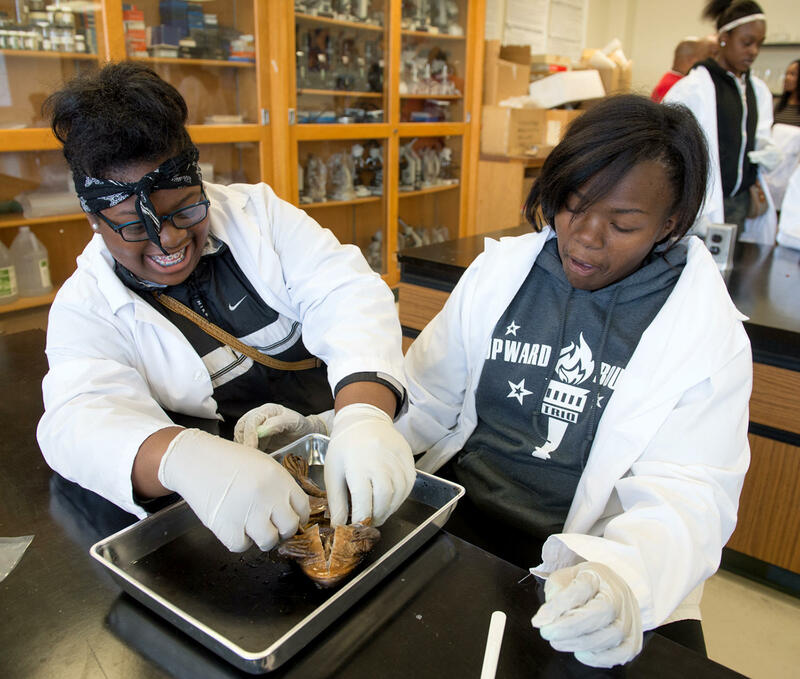 The Upward Bound program at SIUE’s East St. Louis Center is using the extra time with students to keep their minds turned to academics—offering hands-on science lessons such as dissecting frogs, as well as help filling out college applications and applying for financial aid. Upward Bound director Javonda Quinn said the strike has exposed new East St. Louis high schoolers to her program, which supports students trying to get into college. “Now they know what we do and now they can go back and say 'oh this is something I’m interested in',” Quinn said. But even with the focus on academics, Dixon said there’s only so much community centers can do to keep students learning. “This is in no way intended to be, nor can it be, a substitute for what the kids would be learning in school. Those are highly qualified educators who know their students, have a set curriculum that’s based on attending regularly,” Dixon said.